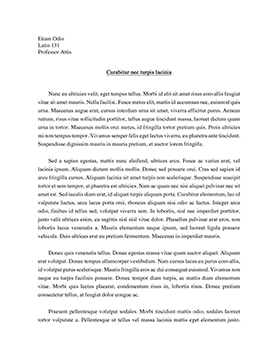 My aim in this essay is to make a comparison between Shakespeare’s texts (First Quarto, Second Quarto and First Folio) and Saxo Grammaticus Historiae Danicae, so that we can see which are the similitudes and differences of the events and the characters between those versions of the story of Hamlet by Shakespeare. First of all, we could say that Shakespeare published the first edition of Hamlet, Prince of Denmark in 1603, the First Quarto, which was taken from an unauthorized text, Historiae Danicae (or also called Gesta Danorum) by Saxo Grammaticus, written between 1185 and 1222¹. This First Quarto was considered a ‘bad’ quarto, printed from a manuscript which was thought to be of a memorial reconstruction. Although this First Quarto was considered as the ‘bad’ one, and it is the shortest text, it was very useful for the historical and theatrical understanding of the story of Hamlet². After this edition, he published the Second Quarto, which was used from the First Quarto, above all the First Act, in 1604, and it is considered as the ‘good’ quarto. And finally, the First Folio was published in 1623, which is a collection of all works of William Shakespeare, named as Mr. William Shakespeare’s Comedies, Histories & Tragedies, and it was taken from the Second Quarto of 1604. So, with this information we could notice that Shakespeare made the most of the work of Saxo Grammaticus to do all his versions of Hamlet, Prince of Denmark. So, we have a story, with its similitudes and differences, with which we are going to analyse in this essay, as I have said before. However, I would like to focus a little bit on the story, on what happens in the story of Hamlet, Prince of Denmark, giving a brief summary of the story. ... in First Folio only in the SD for his first entry; he is not named at all in First Quarto”⁸. Finally, to conclude with this essay, I should focus on the fact that William Shakespeare took the text of Saxo Grammaticus, Amleth, Prince of Denmark, to do his own text, Hamlet, Prince of Denmark, but we have seen a lot of differences between them, much more than similitudes. Moreover, as Shakespeare did that, we could see that nowadays, many authors were inspired by Hamlet, Prince of Denmark to do their own story, for example, the prequel Gertrude and Claudius (2000) by John Updike and the sequel The Prince of Denmark (2002) by Graham Holderness. In addition, it has also inspired to some playwrights, whose plays are, for instance Rosencrantz and Guildenstern are Dead (1957) by Tom Stoppard, and Wittenberg. A Tragical-Comical-Historical in Two Acts (2008) by David Davalos.